Wooden Double windmill with a bell. A big fun for your bird!. 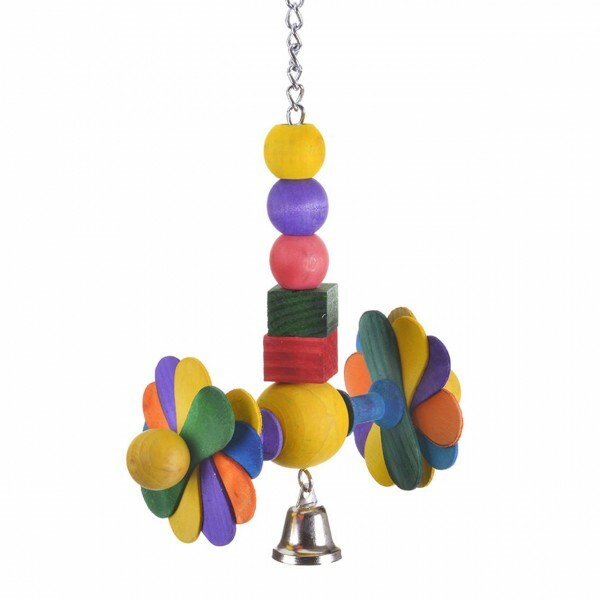 links "Bird Toy "Happy Daisy Wheels" for all Parakeets"
customer reviews on "Bird Toy "Happy Daisy Wheels" for all Parakeets"